Underneath the snow is a fab fashionable explosion of color and creativity! Style this doll right for a fun adventure in the park. Help this handsome young man take fashionable excursion into adventure, excitement and the unknown! Stylish coats, casual shirts and any kind of pants you can imagine await! 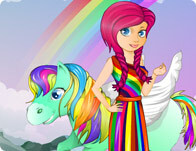 This fantastically cute rainbow pony is waiting for you to dress it up and ride away into the rainbow Skies! 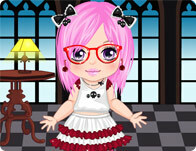 Pick cute outfits and colorfully fun wings in this fab dressup. Forget your sleeves, all the cool kids are wearing their emotions on their fingers! Tiny colorful fashions are all the rage for emo kids this year. Get in on it with a colorfully cute manicure! he knows all the right tunes to get you up and groovin! 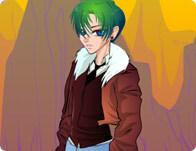 This trendy chic Rock DJ is a one of a kind dance floor fiend who's only job is to get you dancing! Everybody loves an emo baby! Style this too cute kid in fashionable and fun skull, heart and retro styled everything. 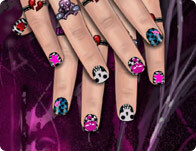 Customize your very own one of a kind finger fashion in this fun and fancy nail design game. Choose from cute decals, ring and bracelet accessories and all the colors and patterns you could ever imagine. Chef Lisa and her best friend Toto are baking up some fresh food and delicious aromas in the kitchen! Come along for a fun time with pizza, sushi, cute chef hats, and anything else you can imagine! 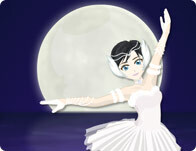 She dances divine in ice white skirts and transparent faux fur gloves, accessories and tutu's. Be the star of the show with this pretty ballerina and her wardrobe full of magic and fun. Bright colors and traditional or modern gowns are the mark of Ginger. Have some fun with a colorful temporary Henna tattoo and glittering bejeweled accessories. Discover what beauty lies behind the veil with this bride and her charming husband! Customize your very own shoulder wraps, veils, gowns, accessories and bouquets to make your wedding day unforgettable. She is bold, she is beautiful,m she is everything you have ever wanted to be. Help this too fancy queen be her best in some chic new looks and cutting edge trends. Get fancy for the seasons number one elite and invitation only masquerade ball! Daring masks and glittering gowns will help you be the belle of the ball in this fun dress up. Fashion, Life goes by so fast, but fashion zooms by much faster! Keep ahead of the style curve and stay fashion forward with the latest styles for the supermodel catwalks and chic celebrity red carpet events. When you become a fashionista, everyone looks to you for tips and tricks to preserving that one of a kind grace and sophistication with cutting edge accessories, hot hairstyles, and seductive shoes! You'll always find the cool games at Girl Games, we have all the best games from game developers like i-dressup, girlsgogames and cartoon doll emporium so you will never get bored! This month we have some amazing games like Barbie Sleepwear Princess Dress Up , Everybody Needs Love and Uggs Clean And Care. New games are added every Thursday, so check back for all the latest free games online!